A comfortable private room with stunning ocean views ideal for couples and single travelers seeking for privacy. 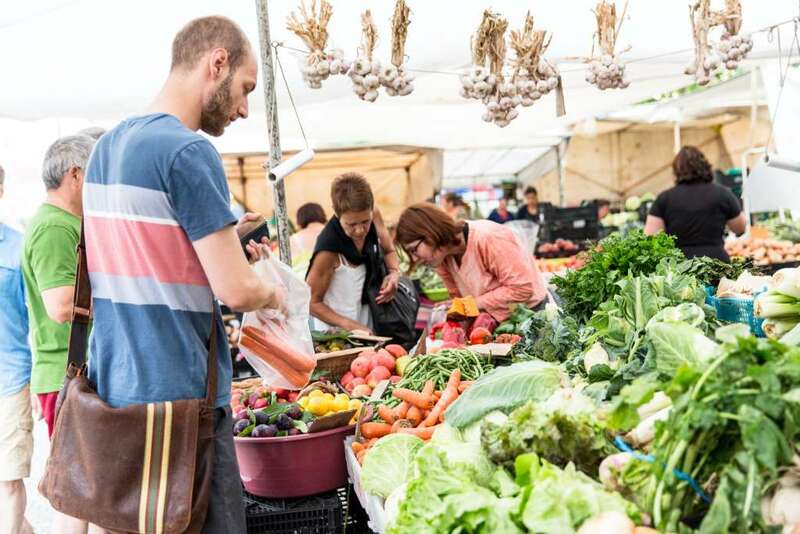 Prices in Euro and per person, VAT included. A very comfortable private room – ideal for couples or single travelers seeking for privacy. 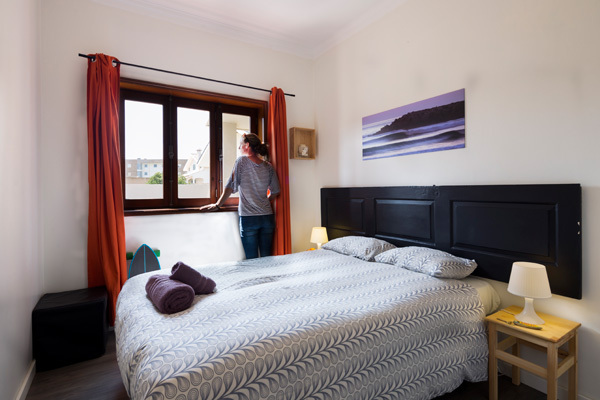 Ideal for groups and single travelers who are traveling on a budget and don’t mind sharing the room. 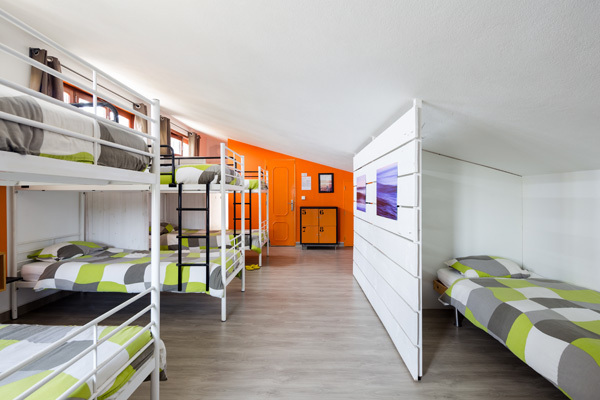 Spacious 4- or 8-bed dorms with plenty of comfort. 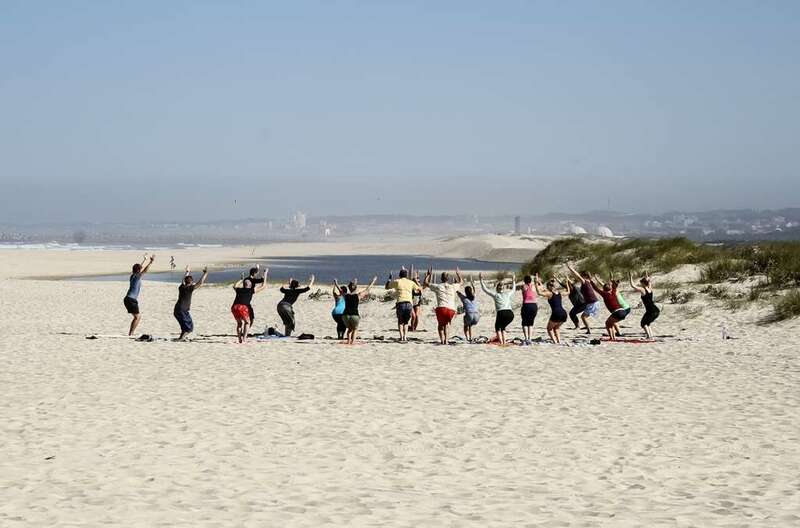 From June to September guests at Surfivor Esmoriz can join our ‘Yoga for Surfers’ program. 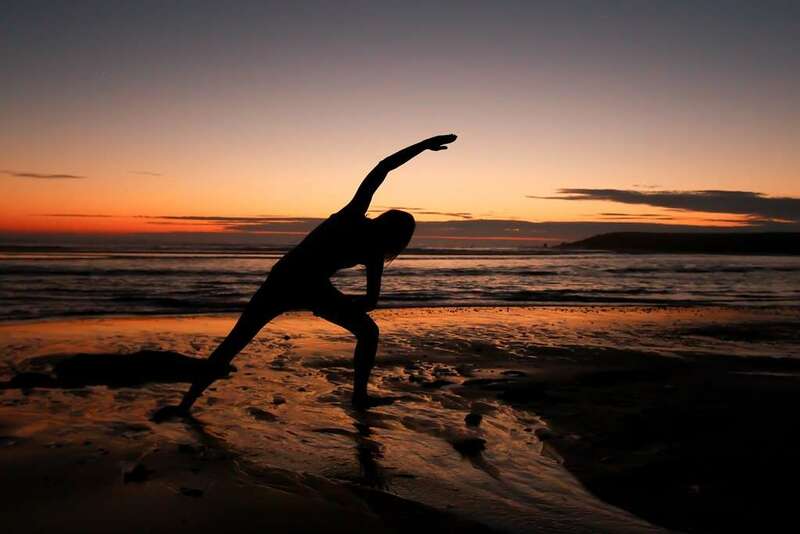 In these sessions the yoga teacher will focus on training the flexibility and balance required to surf at your best. 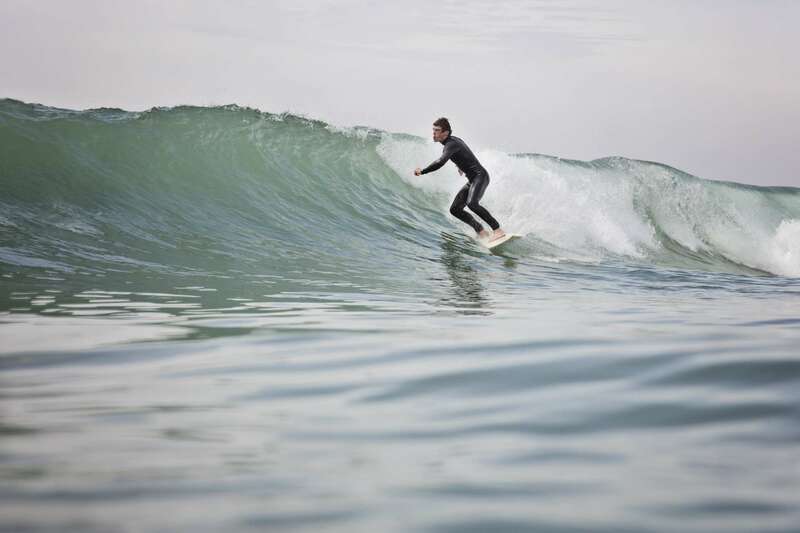 Additionally, special exercises will be taught to help you relax your muscles and unwind after a long day of surfing. These sessions help develop a great mind-set for surfing and are very popular with our guests, even those who never tried Yoga before. Our traditional Monday BBQ is a special treat we love to provide to our guests and it’s the perfect ice breaker that sets up the mood for the rest of the week. Enjoy an evening tasty food, a glass of wine, good people and lots of laughter. Can we add, As with our breakfast, we include lots of nutritious options for vegetarians, vegans and gluten or lactose intolerance. Towards the end of the week our team will take you on a sightseeing tour to Porto, where we enjoy the beautiful views over the Douro River and the city, while tasting the city’s famous Port Wine. We’ll follow on inside tips and enjoy delicious Portuguese food and explore some of Porto’s attractions.